One important tool in programming is the knowledge in regular expression. Here is one way to make sure that your expression is working by testing it with your expected strings. Try your reg expression before using it. 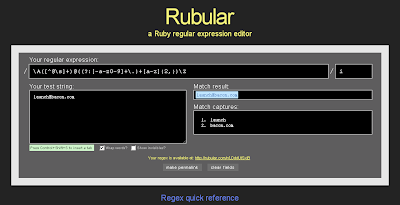 provides an online tool to test your regular expressions on run time. The said tool provides a space for your expression and a way for you to test if the strings you need to check returns true or false for your regexp.